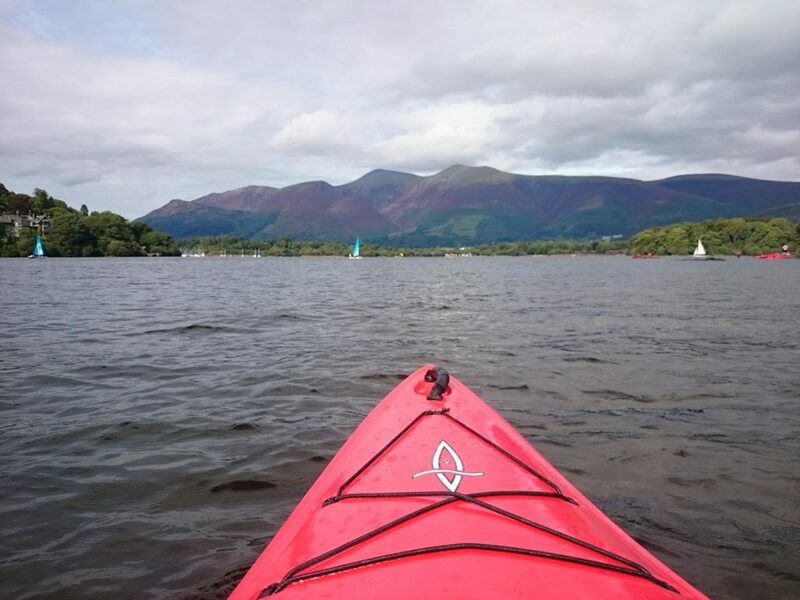 Choose your activity and get on (and possibly in) the lake! 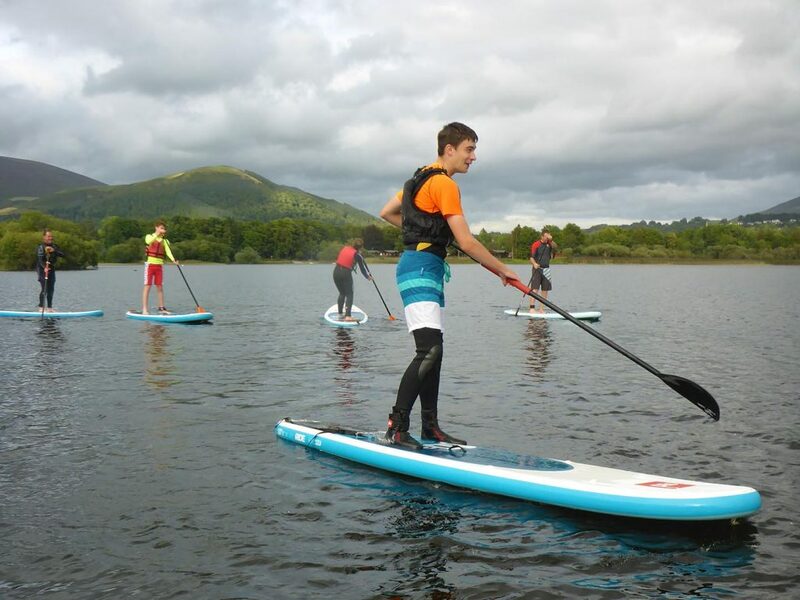 Prices include board, paddle, buoyancy aids, wetsuits & spraytops (if required), parking, toilets, changing rooms. Prices include kayak, paddle, buoyancy aids, wetsuits & spraytops (if required), parking, toilets, changing rooms. 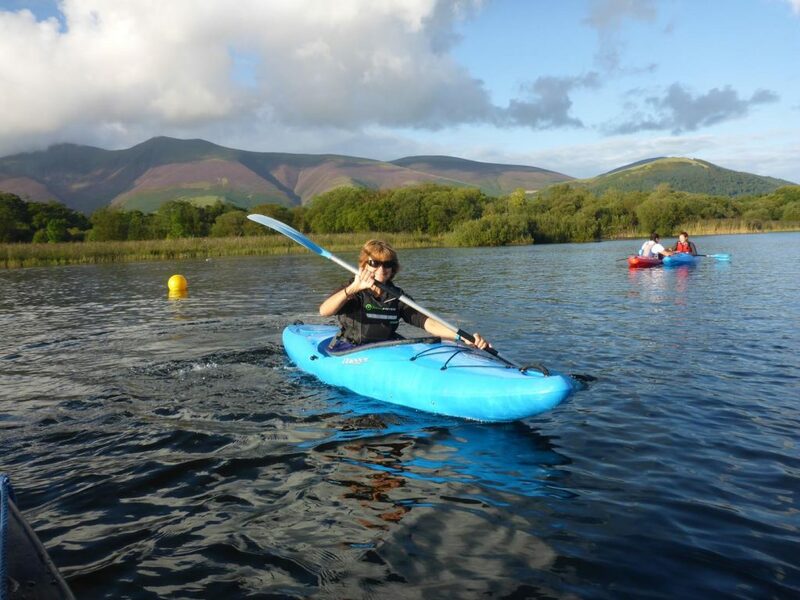 Prices include 2 person kayak, paddles, buoyancy aids, wetsuits & spraytops (if required), parking, toilets, changing rooms. Prices include canoe, paddles, buoyancy aids, wetsuits & spraytops (if required), parking, toilets, changing rooms. Prices include windsurf, buoyancy aids, wetsuits & spraytops (if required), parking, toilets, changing rooms. Prices include boat, buoyancy aids, wetsuits & spraytops (if required), parking, toilets, changing rooms. Get the lowdown on each option and find out which activity will suit you best. Do you have safety cover? We don’t have a safety boat out on the water but we will come and assist in an emergency. We don’t ask for a deposit but we may ask for photo ID or an item of value to be left as security. 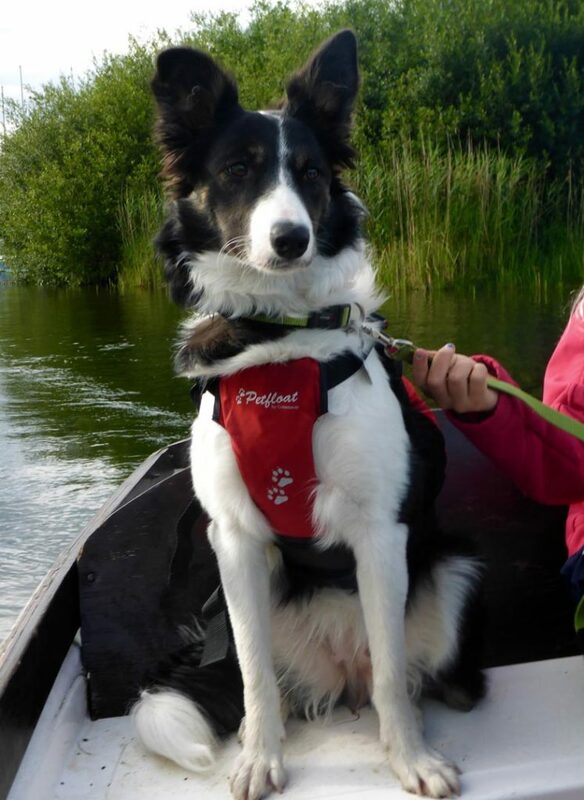 Can I take a dog on the water with me? Do you have a boat that will take a family of 5? You need a Rod Licence and a local permit (available at Youdales in Keswick) to fish on the lake. Can I hire a motor boat? I’m afraid we don’t hire out motor boats but if you contact the Keswick Launch Company they should be able to help you. 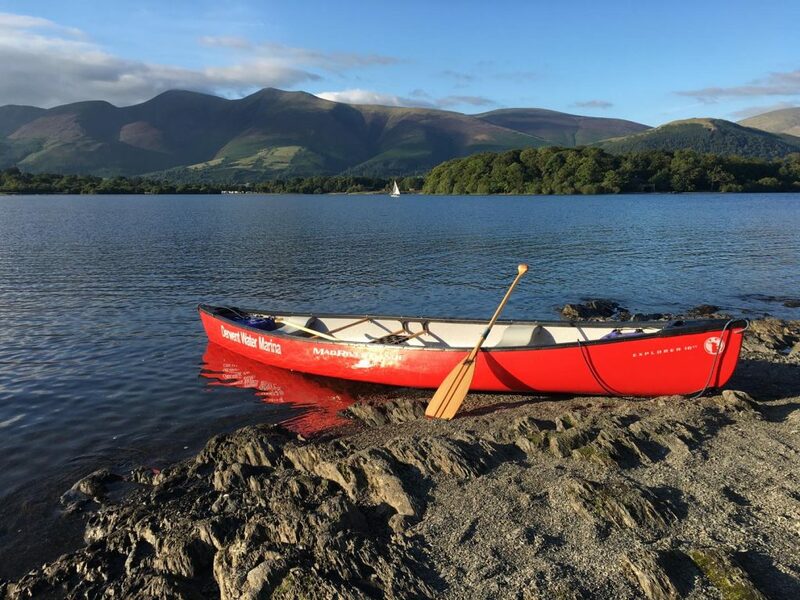 We don’t ask for a lot of experience for paddling just that you are confident that you can manage the boat on the water with the conditions on the day. 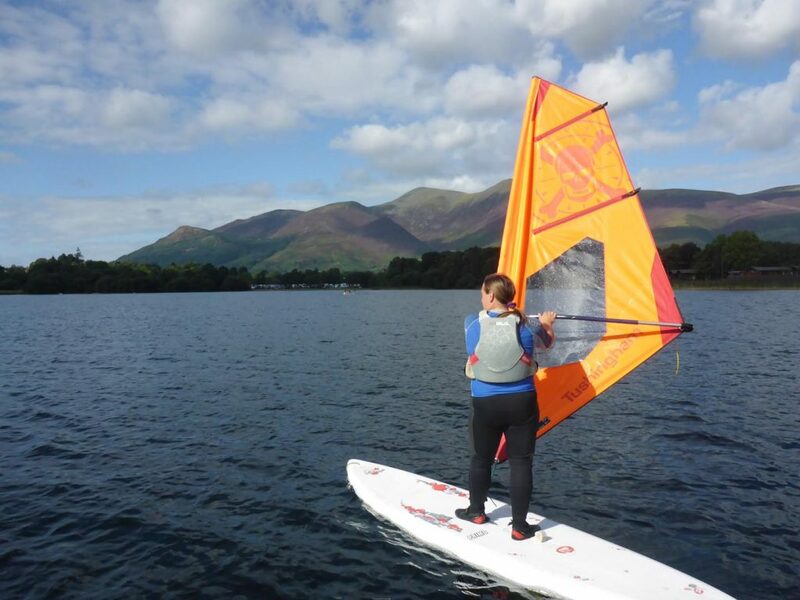 For Sailing boats we need experience equivalent to the RYA’s L2 qualification.. For Windsurfing you need to be equivalent of an RYA start windsurfing. 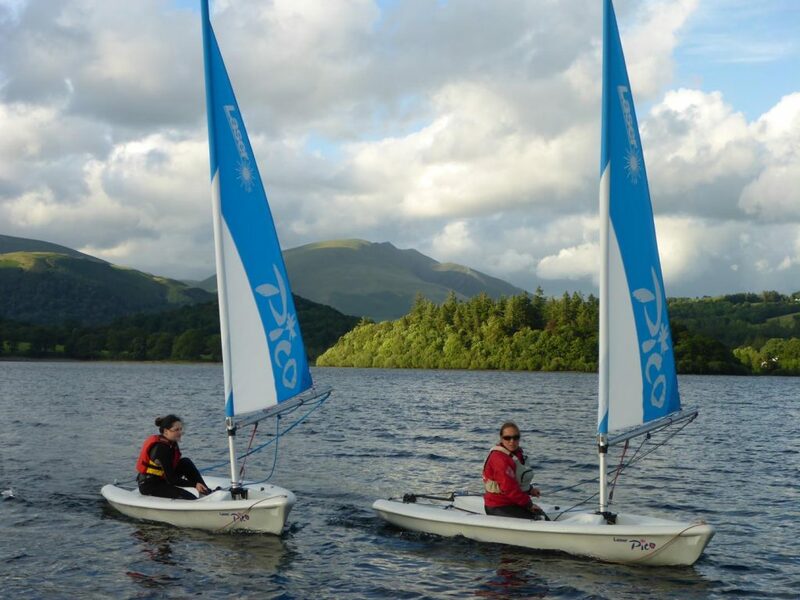 Under 16’s must be accompanied by an adult on the water but you can be in separate craft. You don’t need to wear a wetsuit but they are available at no extra cost. We don’t provide footwear but we would recommend wearing it. We do sell some very good value wetsuit shoes in our shop. Do you have barrels / dry bags for hire? We don’t have dry bags & barrels for hire but we do sell them in our shop at a very reasonable price. Yes there is free car parking on site.